The YMCA of Metropolitan Milwaukee offers a variety of in-person evidence based programs to meet you where you are at on your health journey and help you achieve your goals. Our programs go beyond physical activity and exercise to provide instruction, skills and support for whole-person health and well-being. Each program has a specific focus, but every program is designed to enhance your social, mental and physical self! High blood pressure is a key, modifiable, risk factor for both heart disease and stroke, which are two of the leading causes of death in the United States. 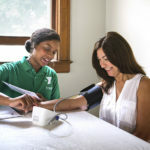 The Y has designed an evidence-based Blood Pressure Self-Monitoring program to help adults with hypertension lower and manage their blood pressure. 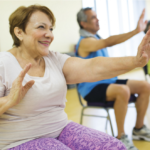 Enhance®Fitness, an evidence-based group exercise program for older adults that uses simple, easy-to-learn movements that motivate individuals (particularly those with arthritis) to stay active throughout their life. Exercise is good medicine – this class is designed to help adults of all ages maintain an active lifestyle – focusing on cardiovascular conditioning, flexibility and balance to help with daily activities and functional fitness. Healthy Weight & Your Child empowers children ages 7-13 years old, with the support of their families, to reach a healthy weight and live a healthier lifestyle. As a cancer survivor, you understand the tremendous physical and emotional toll the experience has on your sense of health and well-being. 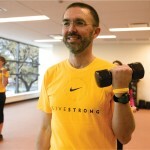 The LIVESTRONG® at the YMCA program can help you reclaim your health and continue healing. 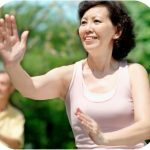 Moving For Better Balance is a falls prevention program that uses the principles and movements of Tai Chi to help older adults increase their strength, improve their balance, and increase their confidence in doing everyday activities. 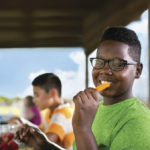 The YMCA’s Diabetes Prevention Program is part of the Centers for Disease Control and Prevention (CDC) led National Diabetes Prevention Program, and is designed to help those at high risk adopt and maintain healthy lifestyles and reduce their chances of developing type 2 diabetes.